The tallest trees in a forest are more harmed by drought than smaller trees. A majestic sequoia, a towering oak, or a lofty cypress. Whatever region you’re in, the tallest trees evoke feelings of inspiration and wonder. These trees have often survived natural disasters and centuries of human civilization. But they may not survive as climate change makes droughts more frequent and intense. That’s Kristina Anderson Teixeira, at the Smithsonian Institution. She says taller trees have to pull water farther to reach the top of the tree. These conditions further dry out the trees, making them less able to defend against pests and disease. 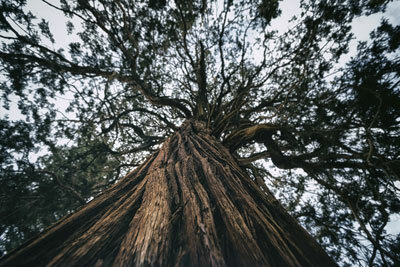 Large trees pull more carbon dioxide out of the air and store more carbon than smaller trees. So if they begin dying from drought, forests are likely to lose some of their ability to reduce global warming.